We don't do traditional. Our team has created custom hacks with the specific purpose of being played online. By thousands of players. At once. 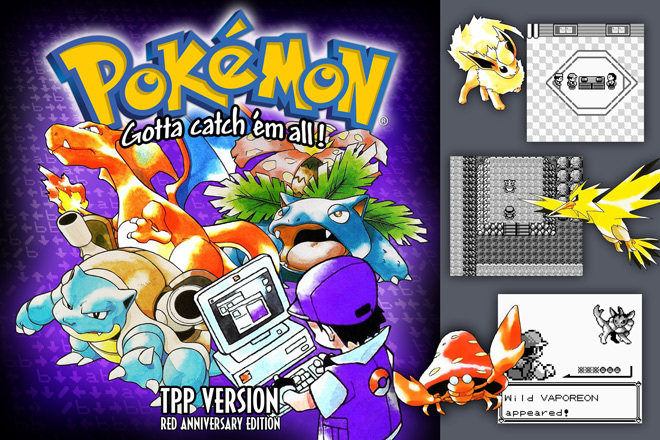 Crafted specifically for the 1-year anniversary TwitchPlaysPokemon's first run, Anniversary Red adds a ton of new content to the first gen Pokémon games. Enjoy new and enhanced features, such as being able to capture all 151 Pokémon, increased difficulty, the newly created Battle Tent, mysterious new dungeons, and unique events created specifically for this version. We're back for round 2! 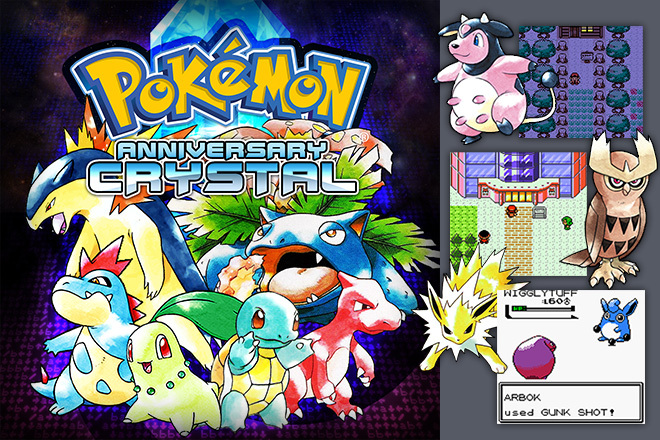 Pokemon Crystal! New maps! New encounters! Fairy types? New plot twists?? Who's that guy in green, and why do I keep running into him?! And what's with that bird? Watch the stream and play along!